Major Homes: 'Condormitel' offers new investment package | Major Homes Inc. Whether it’s to ensure the survival of a firm, or to secure a better life for an individual, an investment represents an intelligent move to entrust your hard-earned money on something of value. Recent scenarios have shown that the real estate sector remains among the most practical and intelligent options, as the value of property often increases over time, giving investors’ returns that are higher than expected. This holds true if your investment is placed with a reputable developer with a proven track record. Take realty developer Major Homes, for instance, who is offering a new lifestyle concept mixing the amenities of a condo, dormitory and hotel. It is called a ‘condormitel’. Its project is named “Space Condormitels Series” are located in various key areas in Metro Manila promise to redefine the benchmarks on Philippine property investment. There are three projects presently included in the Space Condormitel series. The project will employ the so-called “sachet business model” that will allow future owners to rent out units on a per bed basis. This will give the Space projects a strong rental component that could guarantee good returns, Major Homes explained. Rising 28 stories each, Space San Marcelino, Space Romualdez and Space Taft condormitel are combinations of condominium and dormitory units that will be operated as a hotel. Each property will be built near various educational institutions, commercial establishments, hospitals, government agencies and other places of interest. “Space is a condormitel concept. It’s a condominium, dormitory and hotel that operate as one. It is a real estate asset for it is fully secured with a Condominium Certificate Title (CCT), can be leased out like a dormitory, and with a service comparable to a hotel,” Major Homes president Jose Francisco Oreta V explained. 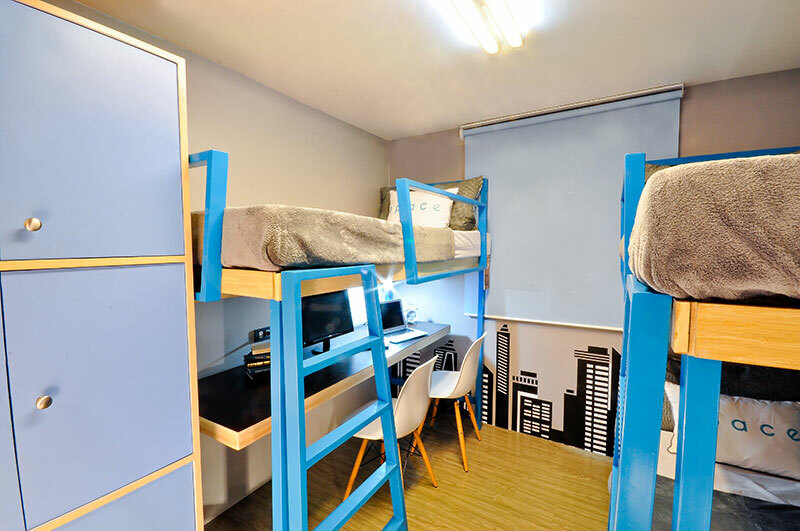 Each of the units will be fully furnished with a minimum of three beds and study desks, thus giving unit owners the freedom to have their own spaces rented out on a “per bed” and not “per unit” basis. Unit cuts range from 15 sqm to 19 sqm.